Come home to yourself and befriend who you are already. 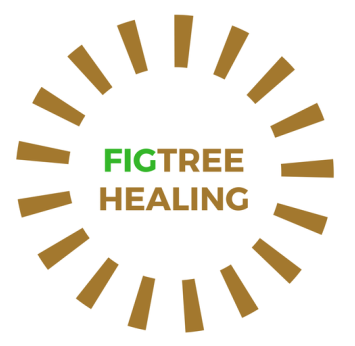 My name is Tanja Phoenix, I am mother of 2 children, life artist, dancer and poet, speaker and writer, creator and lover, facilitator and practitioner of various healing modalities, all syncing as One when I work with you. As my name reveals, I am queen of the fairies (Tanja) and I like to die in the flames of my passion for life and rebirth again and again out of the ashes (Phoenix). Since I am German, I have done it with precision and to perfection, and so many times, that I have deeply embodied and befriended this process.I have walked a long journey through the underworld, darkness, grief and trauma, and many dark nights of the soul, to finally come home to myself and remember who I truly am, light and love and an infinite sovereign Being, in a human body. 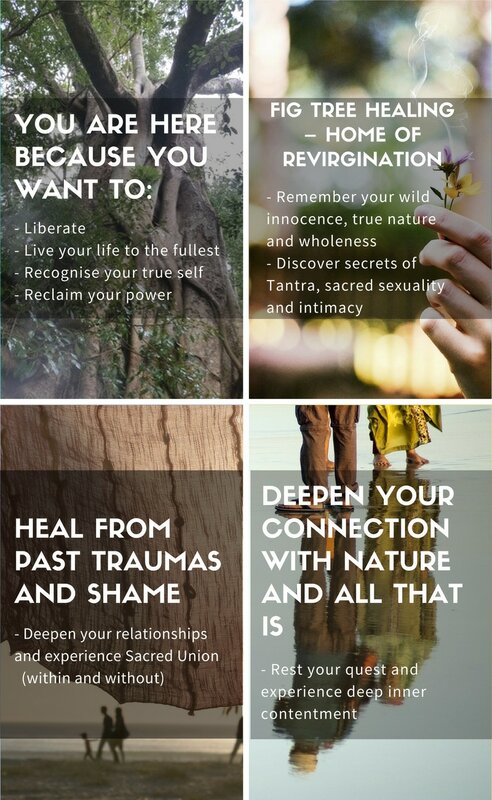 I share Revirgination sessions and ceremonies with you, assisting you in the resurrection of your wild authentic nature and innocence, accompanying you on your path of awakening and healing. 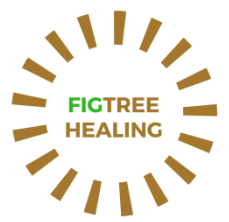 Fig Trees represent a powerful presence of deep roots, vast expansion, and collaboration. They emit ancient wisdom, unconditional love, guidance, connection and a deep awareness to me. I love sitting on their branches and at their feet, on their roots. I feel safe in their presence...and this is the space I hold for you as a guardian of sacred space, sharing transcendence in embodiment, guiding you in your process of remembrance, transcendence and realization of your unbound self. I love to work with you, if you feel strongly called to enter into a conscious relationship with Life, into Sacred Union with Creation, if you like to relate more deeply with yourself and all that is, if you want to open to the dance in the field of the Mystery, if you are curious and feel your call. You are an infinite being in a human body, and that's where we start ~ Connecting deeply with your body and waking it up. Reestablishing coherence and optimizing its functioning. 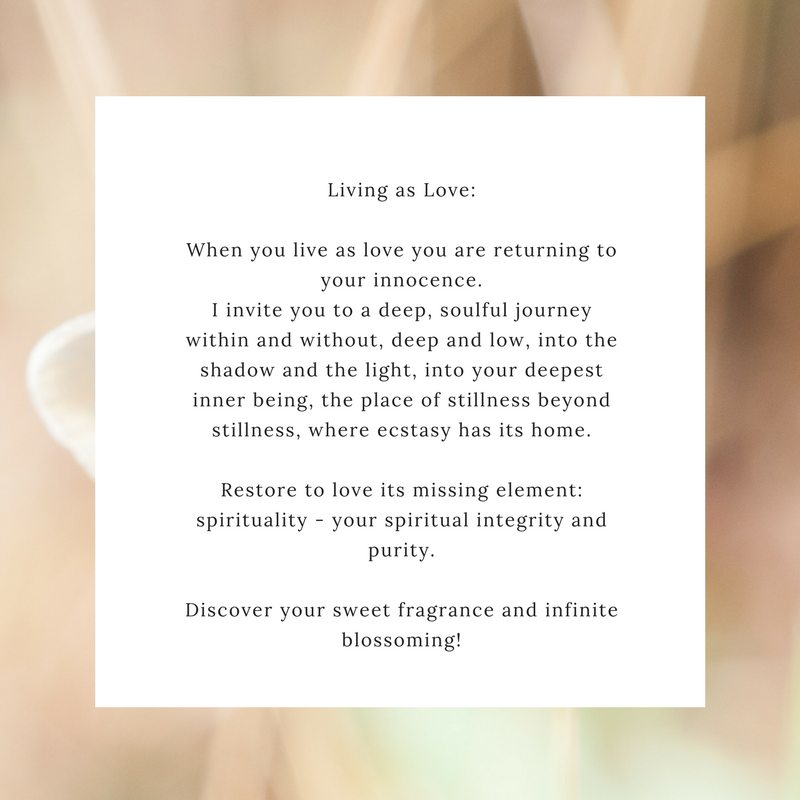 I work with a strong focus on integration, anchoring and embodying all experiences, so that you step into a whole new level of human existence, as a fully integrated, sovereign and connected being as you ascend further into your higher self. Love, Light and Blessings. I am in honour and service to you and all that is. I look forward to work and dance with you. ​awakening and integrating the awakened state.